Fall 2018 Shawn introduces her newest collection of Watercolors on Textiles. 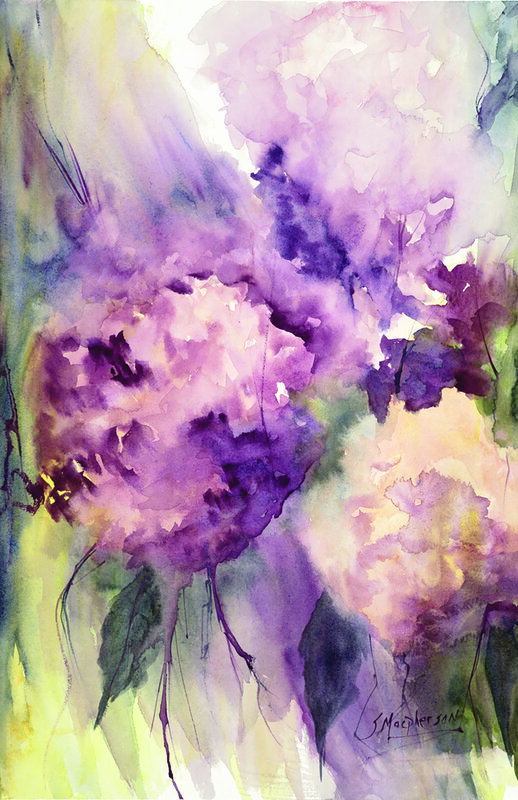 The first collection is designed from her original watercolor painting Hydrangeas, Big, Bold & Beautiful. The current collection consists of silk scarves, canvas tote bags and wall hanging tapestries. Original designs are printed onto luxurious textiles with water based dyes creating art with gorgeous vivid colors. Shawn has sourced and hand chosen all of her fabrics, designers and seamstresses. Textiles are designed, printed and sewn in Canada from Shawn’s original artwork.